Take your outdoor entertainment to new levels! Making your music come alive. From backyard gatherings, to relaxing evenings, our sound reactive fire-pit allows you to visualize music while experiencing the fusion of fire, sound, and more. Sound driven fire burner creates a precise fire-to-sound reaction that dynamically represents the sound of the music with flames. Transform your parties and relaxing evenings with revolutionary fire products. 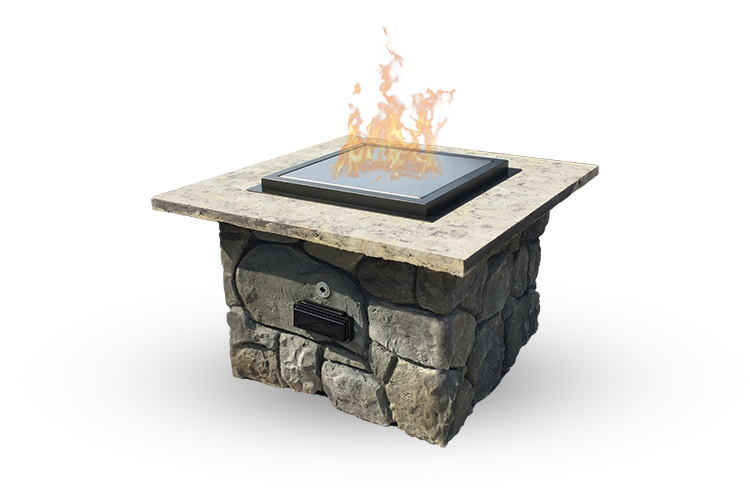 Sound driven fire burner is the first to be brought to your backyard. This technology literally lights up your music bringing your favorite songs to life. So sit back, relax, and watch your music come alive. The sound waves travel up the tube and illuminates the fire through the burner which has 1681 tiny holes. The result affects how fast gas flows through each hole, creating a 2d Ruben’s tube, or dancing flame, effect.